Hong Kong is the epitome of the modern city and a crossroads between eastern and western cultures. Today the city is most famously characterized by its breathtaking skyscraper skyline, dominating its so-called “fragrant” harbour. Hong Kong’s fragrant name is derived from its antique trade in sandalwood. The more-than-one hundred-year-old Star Ferry, which continues to play the seven-minute route between Hong Kong Island and Kowloon, enhances the magic of the night-time experience of this unique maritime city, composed of China’s southernmost peninsula and an archipelago of over two hundred islands. Hong Kong has always been something of an anomaly, and an outpost of empire, whether British or Chinese. Once described as a barren island, the former fishing community has been transformed by its own economic miracle into one of Asia’s World Cities, taking in its stride the Territory’s 1997 return to Chinese sovereignty. Beneath the surface of Hong Kong’s cliched self-image as Pearl of the Orient and Shopping Paradise, Michael Ingham reveals a city rich in history, myth and vibrant cultural diversity. CITY OF OCCUPATION & IMMIGRATION: The Buddhists; the Sung emperor and the Mongols; the northern Chinese; the British; refugees; other expatriates; the triads; sailors of all sorts; the Japanese army; the Filipino ?maids? ; the rugby fans. CITY OF GLASS, BAMBOO & FUNG SHUI: Temples and markets; walled village and city; sky-scrapers and hotels; buildings and values?ancient and modern. 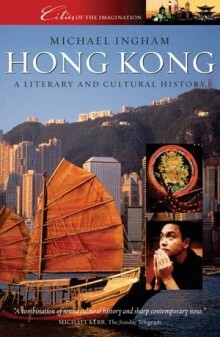 CITY OF CULTURAL HYBRIDITY: Sun Yat-sen and Sir Catchick Paul Chater; Chinese Opera and cinema; classical music and Canto-pop; Bruce Lee and Sir Norman Foster; Suzie Wong and Wong Kar-wai; Timothy Mo and Jackie Chan; Chris Patten and Mickey Mouse. MICHAEL INGHAM teaches at Lingnan University, Hong Kong, and is a founder member of the local Theatre Action drama group.